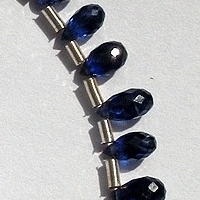 Kyanite is a mineral found mainly in metamorphic rocks. It most often forms from the high pressure alteration of clay minerals during the metamorphism of sedimentary rocks. 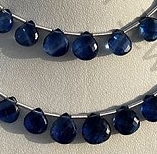 The history of Kyanite gemstone dates back to Greek civilization as its name has originated from Greek word Kuanos or Kyanos referring to deep blue. 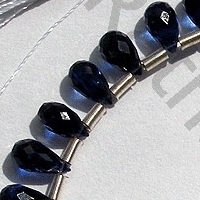 The major reason behind its blue impact which makes it one of the most like jewelry item is presence of blue silicate. 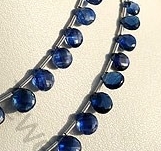 Kyanite is also recognized with different names as Rhaeticite, Cyanite and Disthene. 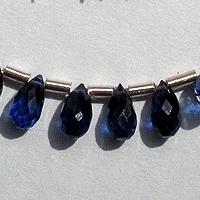 It is considered as the birth stone of Libra, Taurus and Aries. 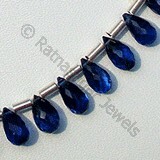 It is believed that this gemstone is best source which relaxes the user and enhances its meditation power. 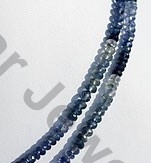 Being a calm stone helps the person in controlling his anger and keeps cool even in difficult circumstances. 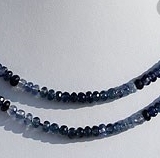 The high vibration and rapid transfers of energy from Kyanite create pathways where none existed before. 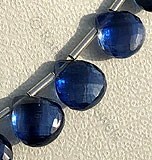 Like a universal bridge, it is an extraordinary crystal of connection, opening the mind centers, enhancing telepathic and psychic abilities, bridging gaps in all communication efforts, and providing a link for transmitting or receiving healing energy.It immediately aligns the chakras and subtle bodies, bringing tranquility and a calming effect to the whole being. 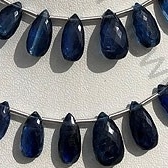 Nowhere else except at Ratna Sagar Jewels will you find the best quality and natural Kyanite in some extremely stunning shapes. 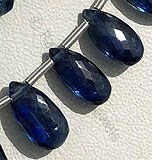 Check the online collection of Kyanite gemstone beads and be assured to get only the best quality of gemstone beads at affordable price and with a fastest possible delivery service. 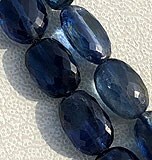 Kyanite is more of a collector gem, possess property of transparent with vitreous luster and are available in deep blue color with micro cut, Flat Pear Shape. 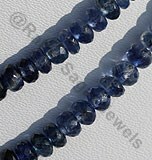 Kyanite is more of a collector gem, possess property of semi-transparent with vitreous luster and are available in blue color with micro cut, Heart Shape. 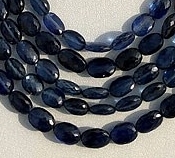 Kyanite is more of a collector gem, possess property of transparent with vitreous luster and are available in blue color with micro cut, Oval Shape.